Provides a tough, mottled, coloured exterior or interior plaster onto conventional wood floated or scratch plaster that is UV resistant. All plaster work to be cured by wetting with clean water 3 times on the day following the day of application. Always spray from bottom to top to avoid water run marks. Allow to dry for at least 3 days before sealing. CemPlaster Pavilion Grey wall imprinted with stone texture. CemPlaster Pavero Brown built-in seating and fire pit. CemPlaster Pavilion Grey off-shutter wall. 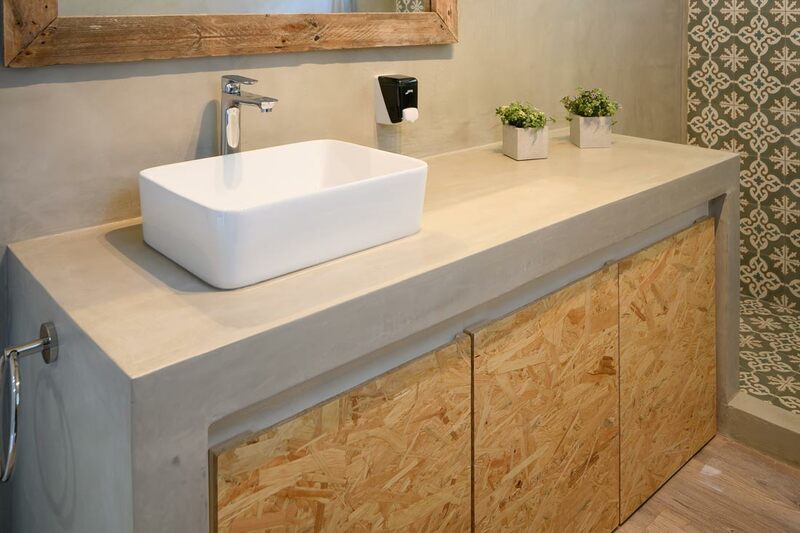 CemPlaster Milano Milk vanities, walls and shower. Q: Can I use CemPlaster to coat my fire pit seating area? A: Yes, because it is durable enough for exterior weather conditions and can be easily applied to horizontal and vertical surfaces. 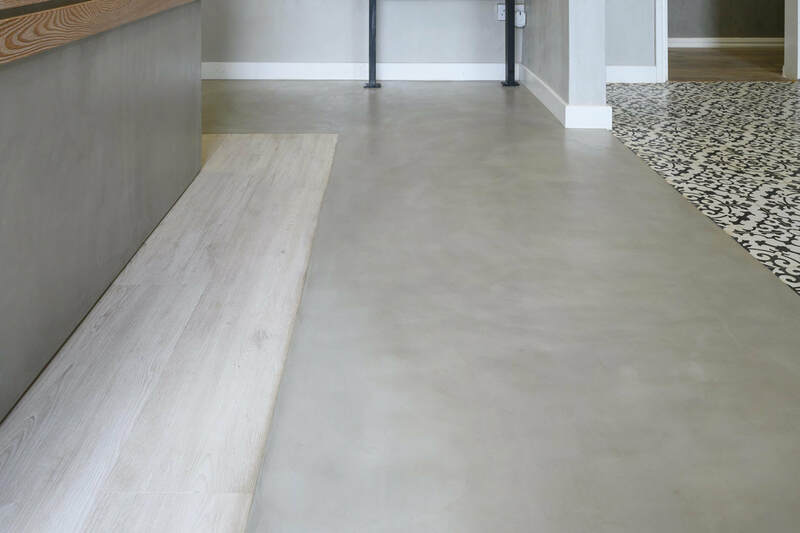 Q: Do you have to seal a CemPlaster wall?